If you were to think about planting in your garden, fall might not be the first season that came to mind. Usually, fall only brings up ideas of raking and tidying before putting your garden to rest. When it comes to planting and preparing for next season, the experts at Greenbloom believe fall is a great time to start. 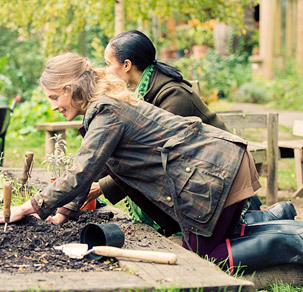 Here are some of the ways autumn planting is beneficial for your garden. Despite the chill in the air, the soil still remains warm from the summer sun. Underground, roots are actively growing, and organisms such as worms and various microbes are still thriving and working. Biologically, everything is still active and carrying on as normal. Even after the first frost makes its presence known, it takes a few weeks before any frost can permeate deep enough into the ground to affect any planting. If you plan to move any plants or place some for the first time, fall is an excellent season to do so. During the spring, plants spend most of their energy pushing themselves up. This means they’re developing new buds, leaves, flowers, and shoots to sprout. It’s during the fall that they work on what is down below and put time into building their roots. For gardeners, this is a great opportunity to plant things like perennials, trees, shrubs, and spring-flowering bulbs, as the energy spent building strong roots will lead to healthy and hearty spring plants that will be more resilient to the unpredictable weather. Fall is an excellent time for root development. This, however, takes water. Fortunately, the autumn months are naturally more prone to rain, and when paired with the weaker sun and cooler temperatures, the wetness tends to last longer in the soil as well due to the slower evaporation. An extra bonus of fall root building is that plants go dormant for the winter, allowing them to rest and prepare for next spring’s growing season. 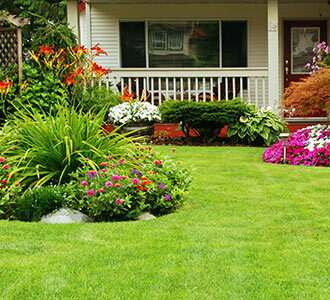 Taking care of your property throughout the year is something the experts at Greenbloom know all about. Preparing in the fall to help ensure your garden looks beautiful for next year is an excellent step in the ongoing maintenance of your garden, as is undertaking the maintenance tasks that your existing plants require. Whether you’re looking to plant trees, shrubs, and perennials in the fall or need someone to help prepare your garden in the spring, the planting services offered by Greenbloom can be a valuable asset. To learn more about our planting services, get in touch with our team by calling 647-500-5263. You can also fill out our online form to submit a general inquiry.